DCK Maidenbower 2029/30 Season Preview At the start of the season, the reality of semi-pro finances really started to bite. DCK lost their first choice GK Ian Lowndes, who decided he'd rather sit on the bench at Derby. Unable to offer more than ~£150 a week in wages, hardly any potential replacements were even willing to open contract talks, and those that were tended to ask for at least £300 a week or more. 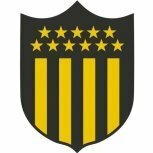 18 year old GK Ashley Rivers was eventually chosen as Lowendes' Replacement, but DCK have now gone from their GK being the best player on the pitch to the worst. The one consolation is that Rivers is young, and young GKs tend to grow relatively quickly. Strengthening the first 11 is effectively out of the question, so it's just a case of making do with the squad available and hoping there aren't too many other departures. At least the current part-timers are (so far) willing to renew their contracts at the end of the year. Small blessings, eh? Reasonable pre-season, had to laugh at the 0-13 result against Arsenal - their English/Vietnamese regen striker Pham Thanh Tuan bagging 10 goals. Keymer and Hassocks captain Rio 'Ferdy' Bryan-Edwards retired at the end of last season, so naturally DCK snapped him up immediately in a staff role. He's the new u18s manager, and being groomed to take over the B side in a few seasons. Going forwards DCK are involved in the FA Cup this season for the first time, which is very exciting. There are of course no expectations to get beyond the qualifying rounds but the buzz is definitely building. It will be a busy season, involved in 4 cups and with a 38 game league season to contend with; some decent cup runs could result in a 60+ game season! There's only one promotion spot available this season, evoking bad memories of the Mid Sussex Prem with K&H, and the SCFL Prem is the sticking point that snared Theodlard's K&H for several seasons before he gave up. We are the joint media favourites but I have to say I don't share their confidence. One question for Dan: Is there a limit to the promotions of the B side? Obviously in Spain the B sides can't play in the same division as the senior side; has this been coded into the L22 mod, is it part of the base game code that they can't be in the same league, or are there no limits to which division they can play in? I would swear I remember a senior and B side playing in the same Mid Sussex Division while at K&H, but my mind could have been playing tricks on me I guess. Note: My computer froze up and I had to replay the second half of the 2028/29 season; we still won the league and failed to win any cups so I won't update the season review unless requested. One thing I didn't include was how the B team, aka the DoF side of the DCK adventure got on in 2028/29. Mid Sussex D4 wasn't loaded but they did compete in the cups, winning two out of four. Next season Mid Sussex leagues will be loaded down to about D6 so I sould be able to see how they get on in the league next season (promotion, hopefully) under the careful hand of my AssMan, who due to staffing shortages currently manages my B team, u23s and u18s. DCK Maidenbower Season 1 2028/29 Preseason Preseason was mostly about getting to understand the squad and where it needed improving. Some big players were lost, most notably star striker Jon Eyoma who moved to Doncaster in League 1 and ended up starting just 5 games all season. His departure cleared the way for the signing of Keymer and Hassocks deity Literally Messi, aka David Ashley, who famously hit 87 goals in 40 games in the 2023/24 season. The team began to take shape, and we were ready for Jamie Tabb's first season managing in semi-pro football. League Having just won the SCFLD2 last year under AI management, DCK were expected to repeat the feat again and collect another league title. They didn't disappoint, finishing first with a massive 19 point gap to second-placed Horsham Baptists and Ambassadors, who you may recall from their bizarre obsession a few seasons back with signing as many K&H players they could get their hands on. Cups Big things were expected of DCK in the cups this season, but they flattered to deceive. Expected to win 3/4 cups, they ended up empty handed, although the league win and subsequent promotion will certainly have softened that blow. Top Performer Despite missing four months of the season through injury, David Ashley continued to justify his nickname with another outstanding season. Transfers Lots of activity; with key players poached before a ball had even been kicked, manager Jamie Tabb turned to his former side Keymer and Hassocks to bolster his squad. Of this season's signings, 13/16 had played under Tabb before, and 8/16 came directly from K&H. They played a key role in securing promotion, ably abetted by squad players that Tabb inherited. The backline of Sutton-Bell-Wheeler-Hopkinson is one that all fans of K&H will be very familiar with, and with former K&H goalkeeper Ian Lowndes behind them, signed by DCK before Tabb's arrival, they kept by far the best defensive record in the league. 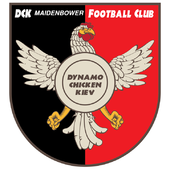 The seemingly lower reputation of DCK compared to K&H made it more difficult for Tabb to bring in the players that he wanted this season, as did the highly restrictive wage limits. It appears to be far tougher to convince a player to sign for £50 a week than it is to convince them to play for free. Go figure. Next Season A better cup season would be lovely, but the main goal is to keep the squad solid and gain another promotion. The club is haemorrhaging cash at the moment; semi pro finance is a brutal change from making a small (~£30k) profit every year at K&H, so we may be in dire need of a takeover/bailout soon. Onwards and Upwards! DCK Maidenbower: An Introduction After a little sleuthing, I have found out a little about DCK. They play at Maidenbower Park, in South East Crawley, just a few hundred metres from the M23. Maidenbower Park is a community area with several football pitches. According to FM, Mid Sussex D7 side Crawley Panthers also play here. I haven't been able to find a club badge; in fact from this image of the club shirt it seems as if they don't even have one. Summary of the first season is coming shortly. Season 12 Conclusion - End of the road for Keymer and Hassocks Once we knew that there was nothing to be gained from winning the league title, we eased off in search of the one trophy that had eluded us thus far - the Sussex Intermediate Cup. In our final season, I'm delighted to say that we won it, meaning that I can leave K&H having won every trophy available. For extra sentimentality, I played Rio 'Ferdy' Bryan-Edwards in our final game against AFC Bolnore for only his fourth appearance of the season (he's 35 now!) and was also delighted to see the final goal of my K&H career scored by Josh Street. As our all time record app holder I'd have expected Ferdy to rank among our Favoured Personnel at least but I guess defenders rarely get the attention of fans unless they screw up. I will be keeping save files from this portion of the career so that if a solution to the promotion bug is found then I can resume from this point but for now I'm going to try moving clubs and hope that the promotion bug doesn't follow me. I will now be commencing Operation Chicken Kiev. Not a bad idea. Was just thinking though that the thread for Dan's FM17 L22 mod is likely dead, and I don't want to bump an old thread. I've posted in the editor's hideaway about the possibility of somehow editing in my promotion but no response yet. Confirmation With three games to go, Balcombe's grip on second place at a minimum is now unassailable, and their promotion is confirmed, as is the fact that no matter how many times I win the Mid Sussex Prem we will not be granted promotion. Being perfectly honest I have to hold my hands up and say that I am 100% responsible for this. Clearly my overconfident declaration of no bugs was my downfall. I would like to hear what other people think I should do now - Do I simply abandon the save, Jump ship to another side and hope the promotion bug doesn't reoccur, or attempt to resolve the issue with in game editors, potentially causing even more bugs?